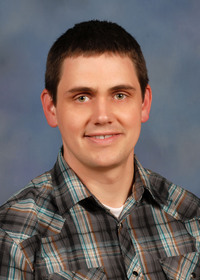 The information presented on this page was originally released on April 22, 2013. It may not be outdated, but please search our site for more current information. If you plan to quote or reference this information in a publication, please check with the Extension specialist or author before proceeding. Has the search for blue flowers left you feeling blue? Mississippi has a long tradition of being famous for blues music. In fact, the Mississippi Blues Trail has markers all across the state telling the story of the blues. Mississippi gardeners also have a long tradition of wanting blue flowers for their gardens and landscapes. Blue is a coveted color in the landscape, and plant and seed catalogs try every year to meet the need for the color blue. Unfortunately, the descriptions of flower colors are stretched to the limit to the point that violet, purple and every variation in between are considered blue. But the search for blue flowers doesn’t have to leave you feeling blue. There are some great blue flowers that do well in our Mississippi landscapes. Try the cool blue flowers of the lobelia. This is an old-timey annual with the reputation of looking great in the spring but melting away in the summer heat. Newer introductions have better staying power in our hot summers. 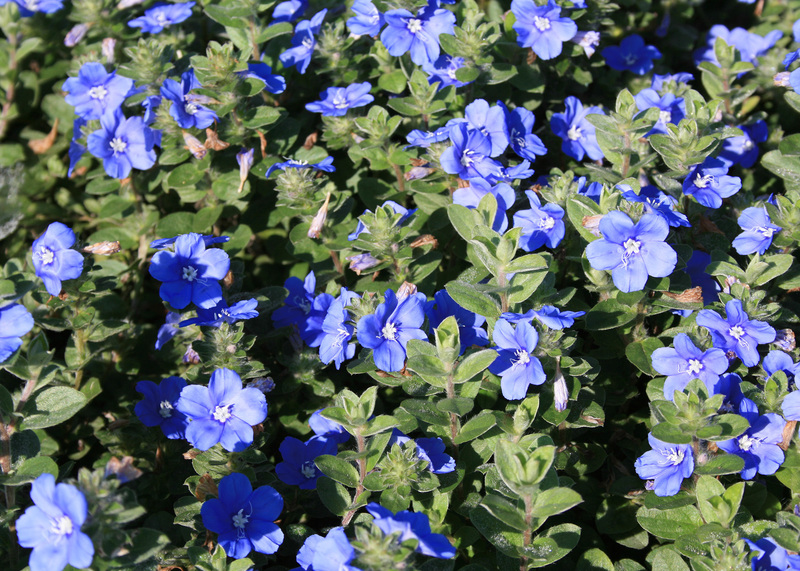 Lobelia Laguna Sky Blue is a heat-loving selection with billowing masses of powdery sky blue flowers that bloom in full sun or partial shade. Even with the masses of flowers, deadheading is not required. Its mounding, spreading growth habit makes it a great blue carpet in the landscape, or you can have it spill over the side of a container or hanging basket. Though officially an annual, gardeners on the coast can expect lobelia to reach perennial status in mild winters. 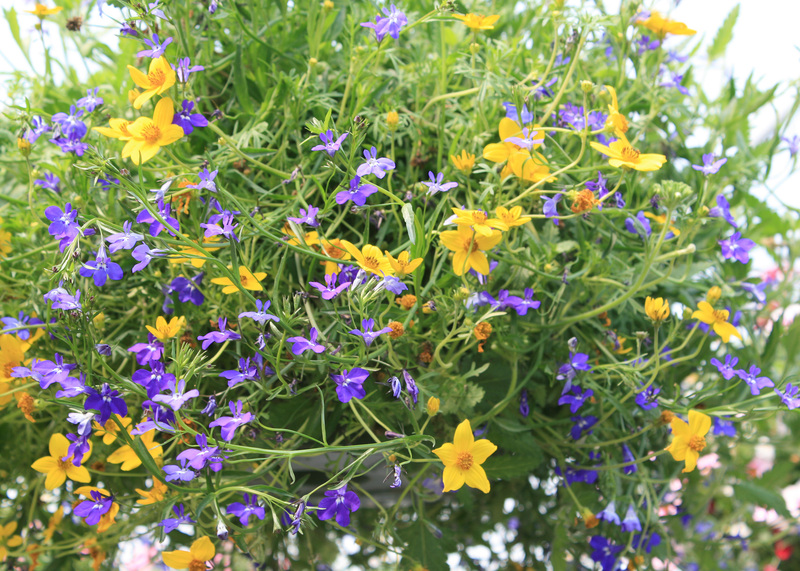 If you want a more dramatic blue, then try Techno Blue lobelia and enjoy its bright, cobalt blue flowers. Lobelia flowers have an interesting shape, with three petals pointing down and two small, narrow petals sticking up. Looking for more options? A few other plants have blue flowers. 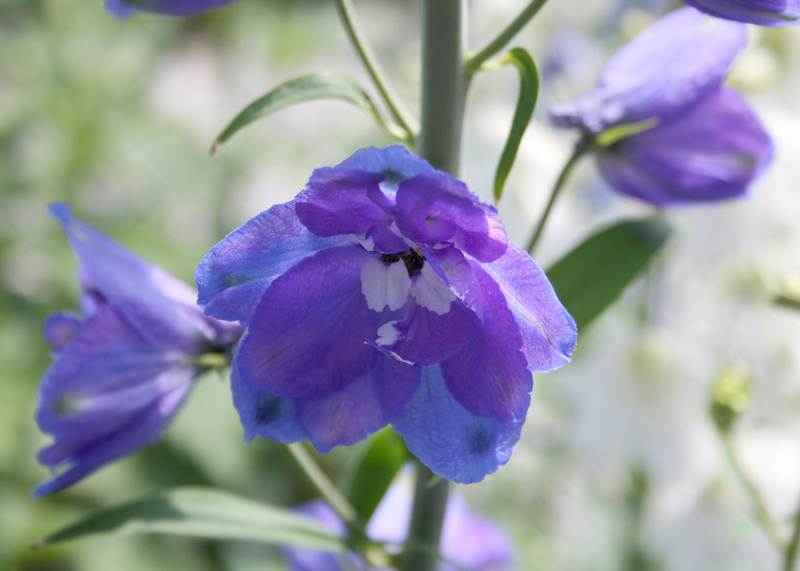 Delphinium is a garden classic that has iridescent blue flowers on long spikes in the spring. The name is derived from the Greek “delphis,” meaning dolphin, which is what the developing seed heads resemble. The foliage is also attractive. The large leaves have stems and are palm-like, with five to seven toothed lobes. These are clustered towards the base of the plant, and some branch off the flower stem. Transplant delphiniums in full sun in a well-drained landscape soil for best flowering. Unfortunately, I’m telling you this too late for your summer gardens. Most delphiniums need to be planted from November to early February. However, Diamonds Blue is an unusual delphinium that is perfect for the summer months. This plant is small with a highly branched growth habit. It produces sprays of upward-facing flowers that are a gorgeous cerulean blue. Other plants with blue flowers have been promoted for Mississippi gardens and landscapes. In 1996, Blue Daze evolvulus was selected as a Mississippi Medallion winner. This is a great spreading and mounding perennial plant that performs well in poor soils and dry conditions, but it’s the flowers that draw attention. The individual Blue Daze evolvulus flowers are funnel-shaped and formed near the shoot tips. It is a prolific bloomer that has flowers with powdery blue petals and white centers. Each flower lasts for only one day, but there are so many flower buds formed that the flowering is continuous. 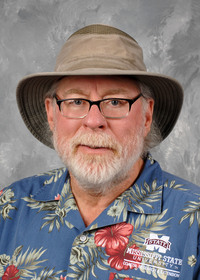 Mississippi State University tested a new variety called Blue My Mind evolvulus in trials last year at the Truck Crops Experiment Station in Crystal Springs. So be sure to check with your local garden centers for these cool blue flowers for your garden.